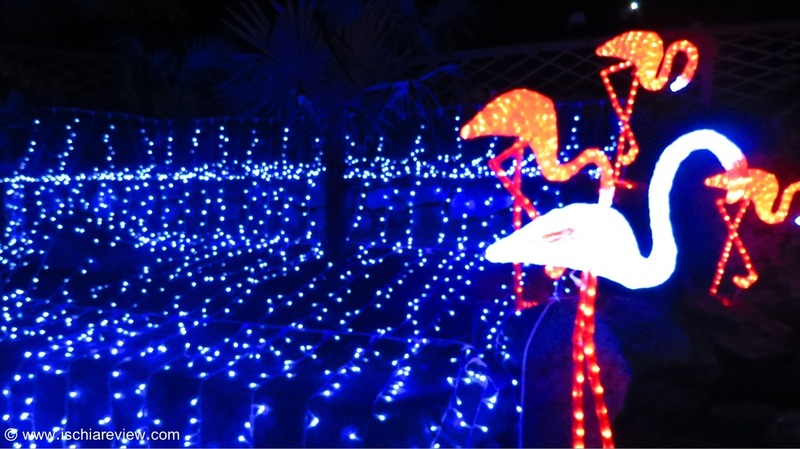 Keep up to date with what's going on in Ischia over the Christmas period with our festive guide and photos. 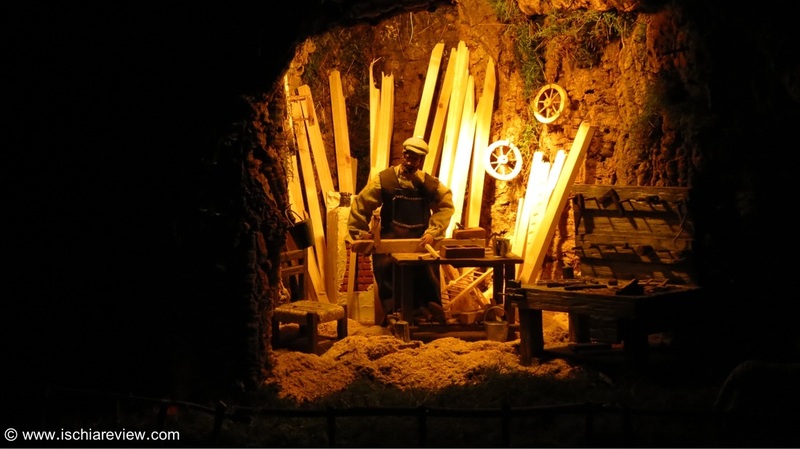 Our guide covers all of the main events and traditions that take place in Ischia over the festive period. Despite its reputation as a warm holiday destination, Ischia has much to offer during the winter and particularly at Christmas-time when the island celebrates the festive period with gusto. From the beginning of November until the middle of December, many hotels in Ischia close but a great deal of them open their doors for the Christmas period to accommodate the seasonal visitors who come looking for a slightly warmer climate than they might find at home but without losing any of the traditions. From the 8th Decmber onwards the islanders start to put up decorations in their homes as well as on the streets with some beautiful displays at every corner. 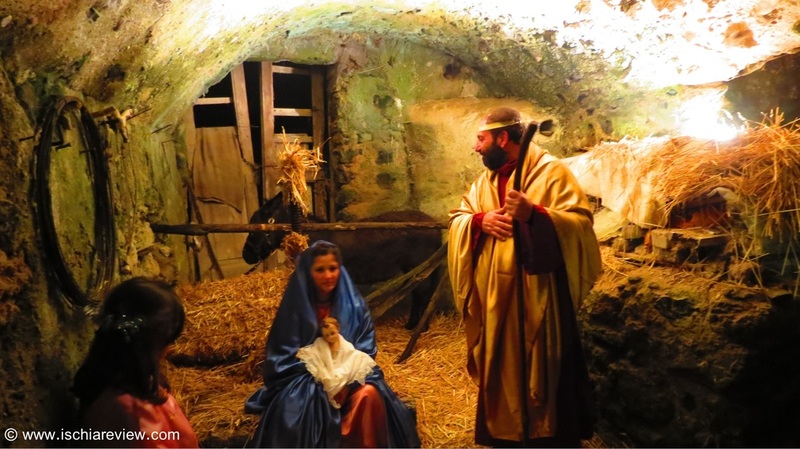 There are also many events to enjoy such as the fish markets in Forio on the 23rd December, the live nativity display in Campagnano on the 29th and of course the parties and fireworks that will help see in the New Year (known as "Capodanno" in Italy). 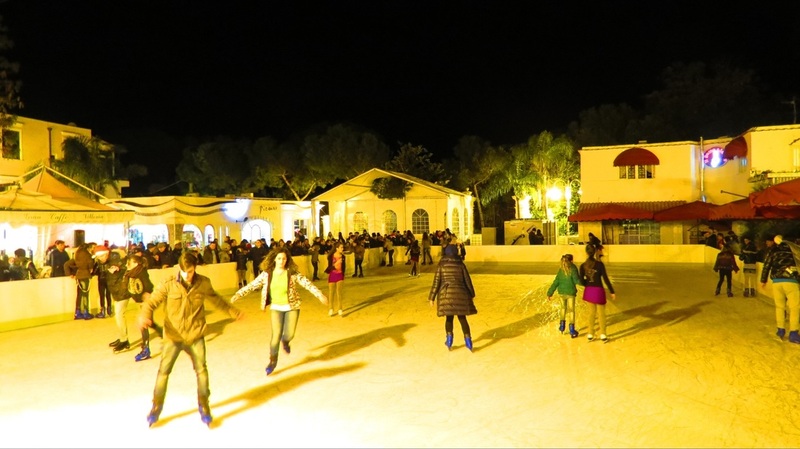 Most people will be surprised to learn that Ischia has its very own ice-rink which is erected in Ischia Porto from the middle of December to the middle of January, and there is also the beautiful "Enchanted Forest" (Bosco Incantato) with its dazzling display of lights that can be enjoyed by the whole family. 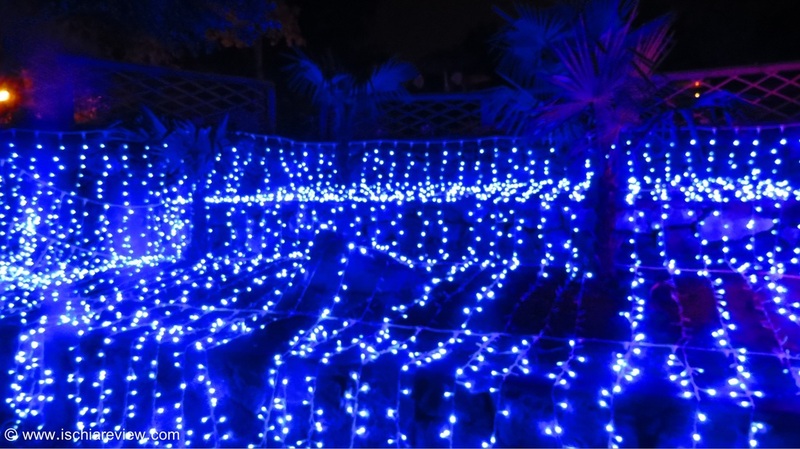 We'll keep you up to date with everything that's going on in Ischia over Christmas and you can find photos and information about some of the best events by clicking on the appropriate images below. For those people desperate to come and see everything at first hand then don't worry as we've got some cracking Christmas holiday offers for you as well so you can come and share in the joy with all of us here. If you still need more information about what's going on here then we'd love to here from you and it'll be our pleasure to help. Just drop us a line at info@ischiareview.com or give us a call on (0039) 328 938 9080. We're an Anglo-Italian team by the way so you don't have to worry about any language barriers.